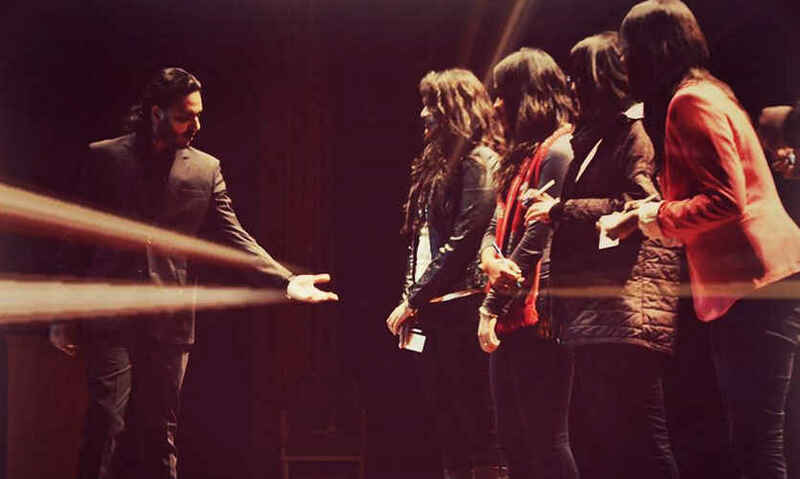 A magician, hypnotist, mind reader and much more, Karan Singh is a local Delhiite who has been mesmerizing individuals with his tricks since 2003. 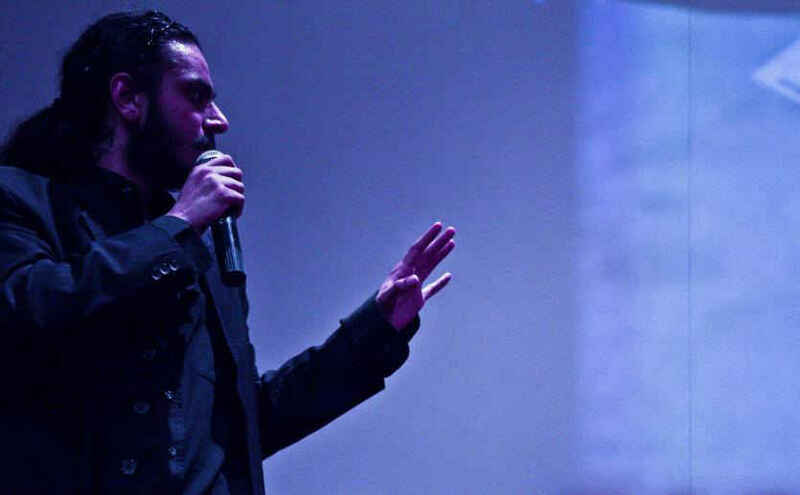 He describes himself as an illusionist who mixes traditional magic tricks with psychology and human behaviour to give the illusion of reading minds. We chatted with him to find out more about his fascinating life and know what’s on his mind! Most magicians often say that their passion for magic was instigated by a childhood encounter. Was it the same for you? Yes, it was pretty much the same for me. I was 11 years old and had gone for a summer camp to a village called Tirthan near Kulu Manali. I met a magician there who taught me a couple of tricks, and I’ve been hooked ever since. At 13, I moved on to David Blaine-type card tricks and then on to the more psychological aspect of magic at 15. 16 is when I noticed that there were numerous magicians around the world doing traditional magic and David Blaine-type card tricks. What’s the funniest thing that a person has ever said to you after finding out what you do for a living? Often the most rewarding aspect of an entertainer isn’t the financial gain, but the cheerful smiles on everyone’s face. Do you feel this is true? What was the most rewarding payoff for you? Oh, this is by far the most honest statement! The sheer joy of being on stage and performing for people and entertaining them is so heart warming. The most rewarding payoff for me came outside Hauz Khas Village - it was about 1 AM and I was getting out after a show and I saw a beggar fascinated by the deck of cards in my hand. He was deaf and mute. Looking at the fascination he had in his eyes, I ended up doing a trick for him without saying a word myself, and his expression when I finished was something I’ll never forget. It&apos;s often said that when passion changes to profession you lose interest - is it the same for you? If not, what keeps you still interested? Oh, not at all! I can’t wait to get up on stage and perform. In fact, if there’s a phase where there aren’t a lot of shows happening, I’m known to get depressed and lonely. What keeps me interested is the simple idea that the idea of magic in India is still cutting people in half and taking rabbits out of hats! There’s so much more to it - just like music, magic has a lot of genres and it’s my aim to reach out to as many people as possible and make them view magic in a completely different light. That someone wearing shorts and a hoodie can be a magician too, it doesn’t necessarily have to be a man in a hat and a tuxedo producing roses or doves. I think the people make Delhi &apos;So Delhi&apos;! Nowhere in the world will you find people like you do in Delhi. Of course, there are pros and cons to the kind of people, but let’s not go into the details on that. 5 places in Delhi that you find to be magical? According to you, what venue in Delhi has been the most conducive to your performance? For me, I think the type of audience is as good as the performer. My best performances in Delhi have come at Raasta, Hauz Khas Village and at Kamala Nehru College. But in general, I find the audiences are quite sweet in areas in and around Hauz Khas Village. 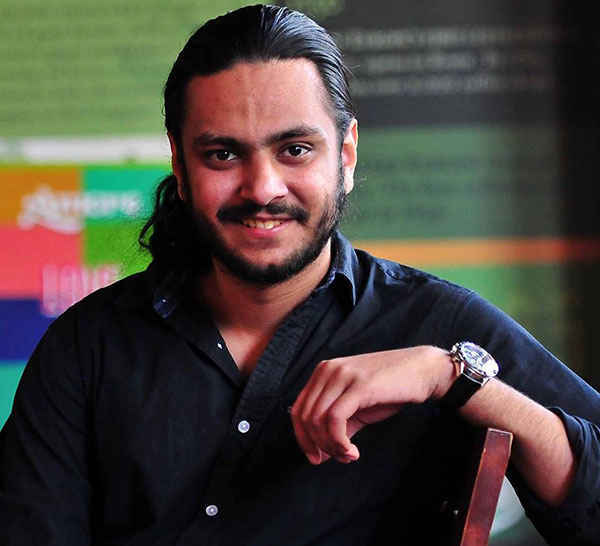 How receptive is Delhi as an audience? I think a lot depends on the kind of setting you put people in. It’s like a movie, if you watch a pirated print you won’t enjoy it, no matter how good the movie is. Similarly, if you get a stage in an auditorium, the audience will like you but if you perform in a park, obviously the audiences won’t be that receptive. Not to mention, there’ll be cops telling you off for “playing cards” in public areas. A misconception, in your opinion, that people have about magic? Like I said earlier, magic remains in people’s eyes inclusive of cutting people in half, taking rabbits out of hats, or yogis and fakirs lying on beds of nails. That’s almost like saying that Sa Re and Ga are the only three notes of music. There’s so much more to it. From card tricks to coin tricks to mind reading to hypnosis. A lot of children often aspire to be magicians but are discouraged by their parents or society. Do you have any advice for them? Oh, I think at some point or the other all kids end up learning a magic trick. All I’ll say is if you really get into it and really really love magic, it doesn’t matter what society or your parents say. Treat it like a person, if you loved a person and people asked you to leave him/her, would you do it? Obviously not! Stick to it. Like all forms of love, it has a massive payoff and is probably the most beautiful relationship you’ll ever have. And lastly, how do you do the invisible card trick? !